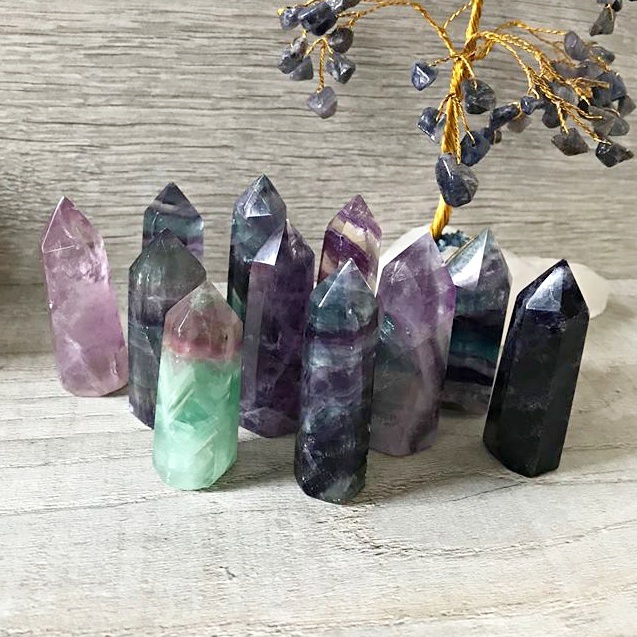 Fluorite is a beautiful crystal, which is the 3 colours in this point, purple, green and clear known for its ability to calm and relieve stress and anxiety, also helping to get rid of mental blocks and other mental issues. Brilliant for helping with exams and concentration. Points are good all round healers with energy direction or crystal arrays.